The Race 4 Space is still on! Get those applications in today! 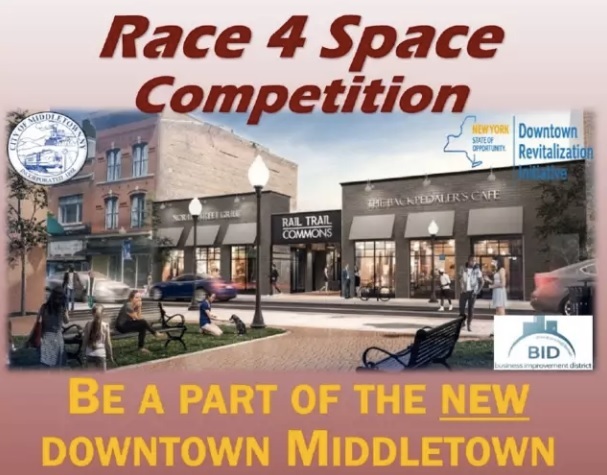 The City of Middletown and The Middletown BID is pleased to announce the Race for Space Competition is still on! Applications are due August 6th so be sure to get them in before its to late! The City will choose up to four proposals from the competition to receive up to $20,000 each (the funds must be matched by the business) for fit-out/build-out of the interior space to help get your business going. Winners will also receive a 50% discount on the rent for the first 24 months. 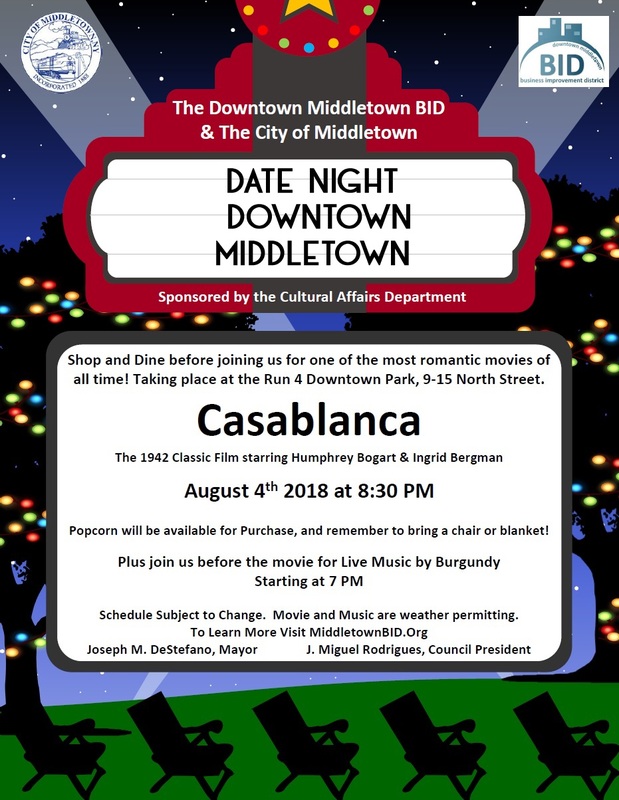 The Downtown Middletown BID and The City of Middletown is please to announce Date Night in Downtown Middletown! Shop and Dine before joining us for for a free showing of one of the most romantic movies of all time! Taking place at the Run 4 Downtown Park, 9-15 North Street. The 1942 Classic Film Starring Humphrey Bogart and Ingrid Bergman! Popcorn will be available for Purchase, and remember to bring a chair or blanket! Please join us before the movie for live music by Burgundy, starting at 7 PM! Schedule subject to change. 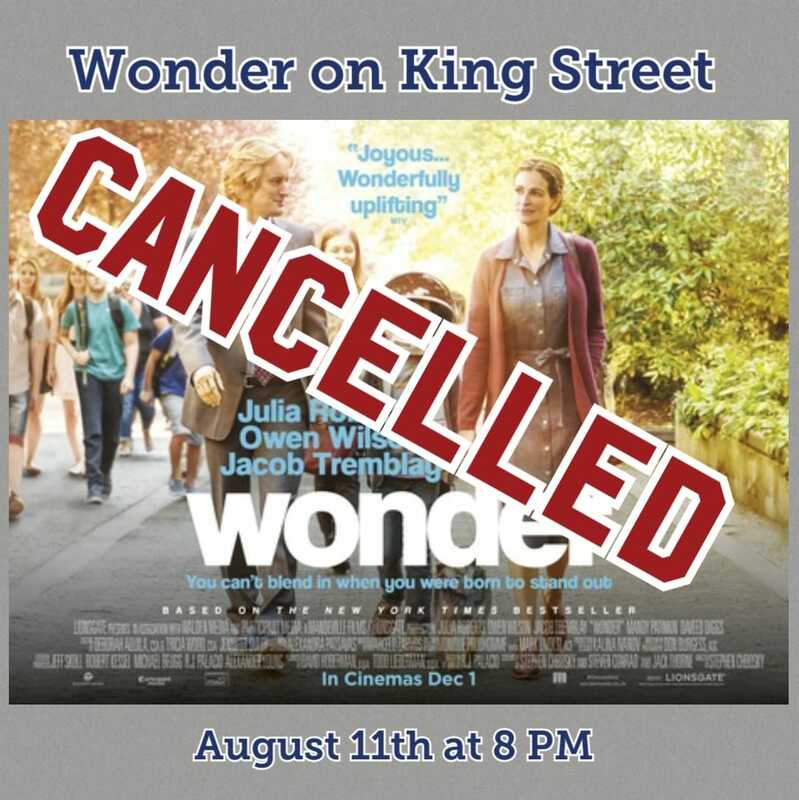 Movie and Music are weather permitting. 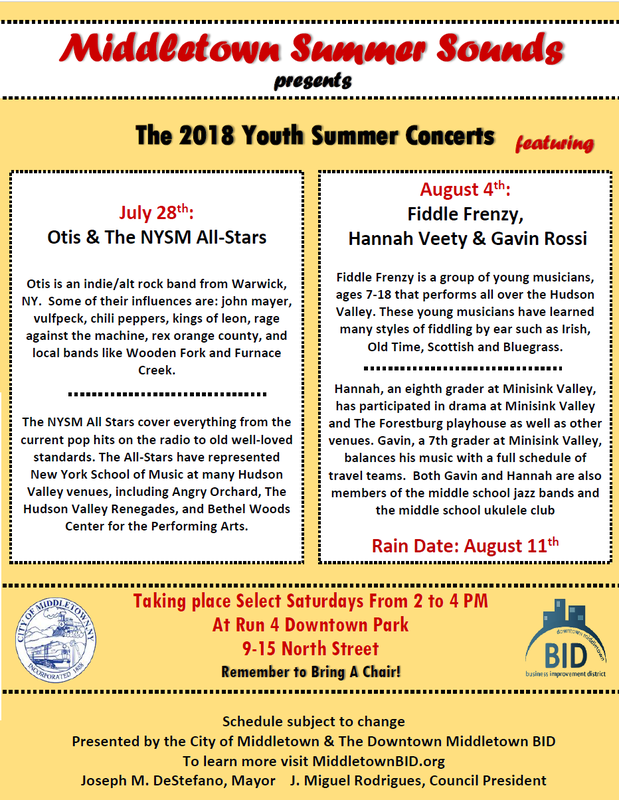 Saturday Youth Concerts Continue August 4th! Our Summer Youth Concerts continue August 4th from 2 to 4 PM! We hope to see you there! 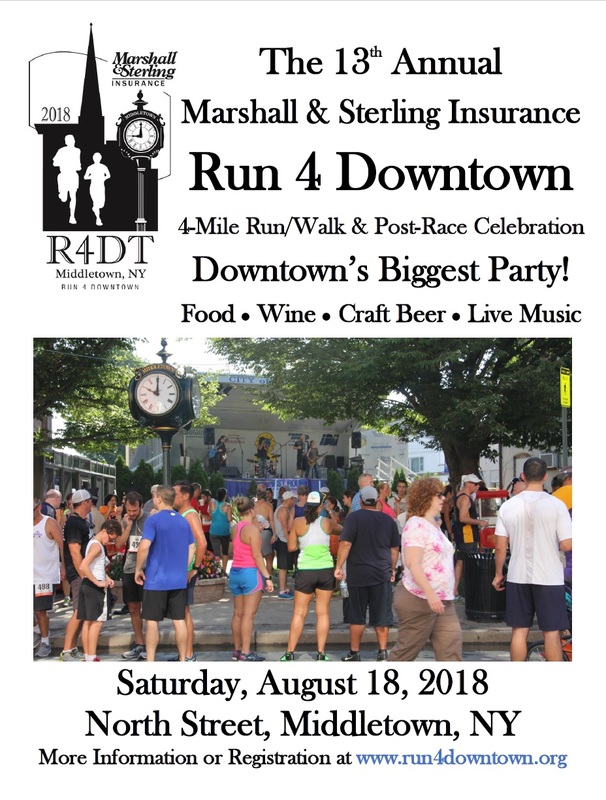 Sign Up For the Run 4 Downtown Today! 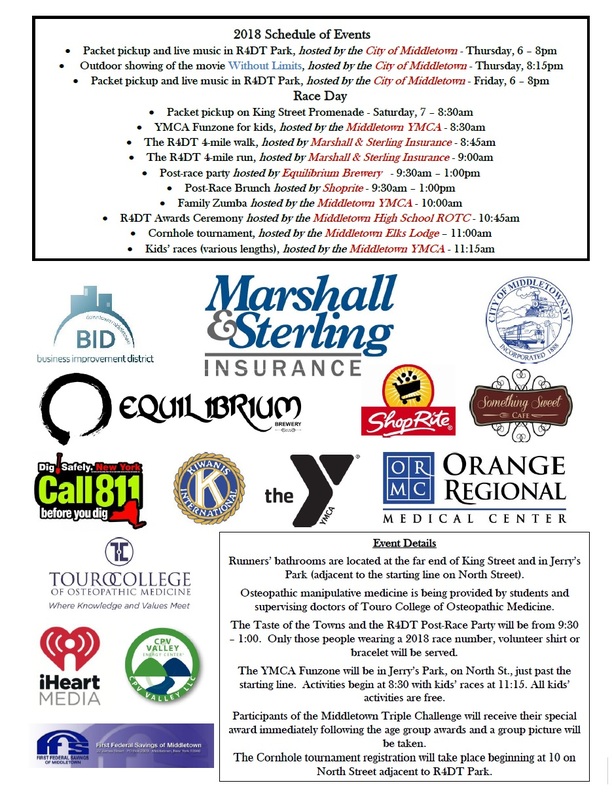 Don't forget, the Run 4 Downtown is taking place Saturday, August 18th! You still have time to sign up today! Visit Run4Downtown.Org for more information! We hope to see you for Saturday Concerts at the Run 4 Downtown Park! Taking place on select S aturdays! 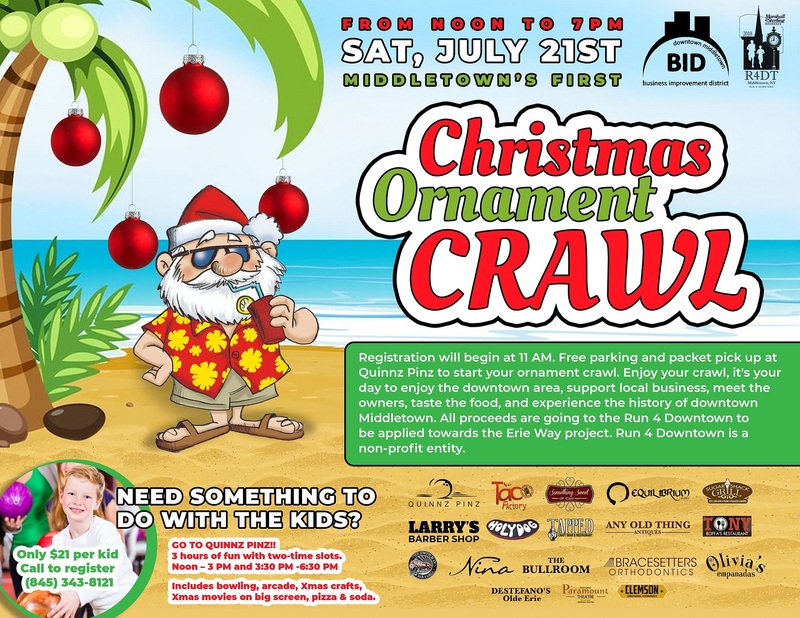 We hope you join us for the First Annual Christmas Ornament Crawl! 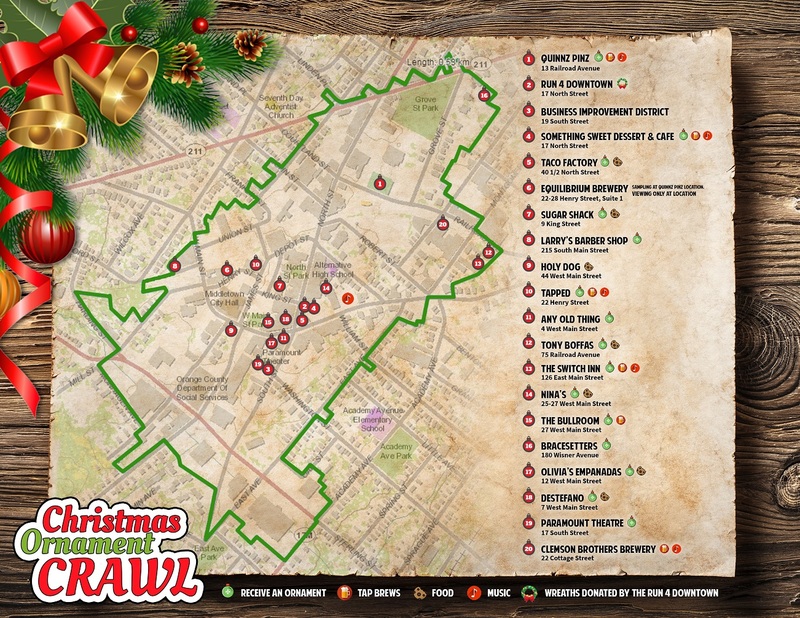 Check out the map of all the participating businesses! Our downtown is going to have music, food, ornaments, and information about the different projects that are coming to our downtown. Its not to late to sign up and participate! Finding the perfect retail location isn’t always simple. Location and rent are major factors to consider when finding the perfect space for a business. But the City of Middletown, New York is making the process a little bit easier. 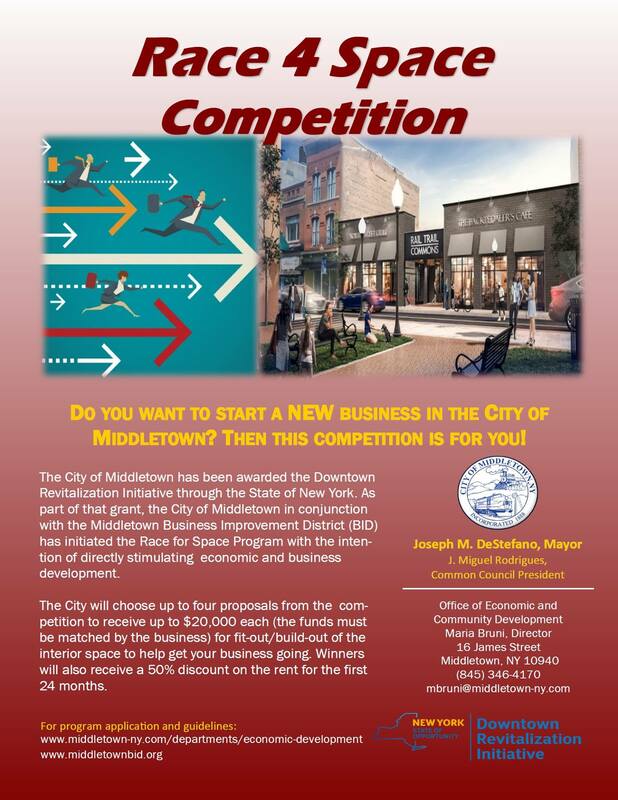 The City of Middletown and Mayor Joseph M. DeStefano recently announced the Race 4 Space Competition at the Rail Trail Commons: a business attraction competition designed to fill four newly created retail spaces in the former Woolworth’s Department Store on North Street. Applicants will compete for one of these spaces along with a matching grant of up to $20,000 per space for fit out/build out. Winners will also receive a 50 percent discount on the rent for the first 24 months. Through this competition the city hopes to attract new and exciting businesses that are unique to the downtown, active and pedestrian-oriented. 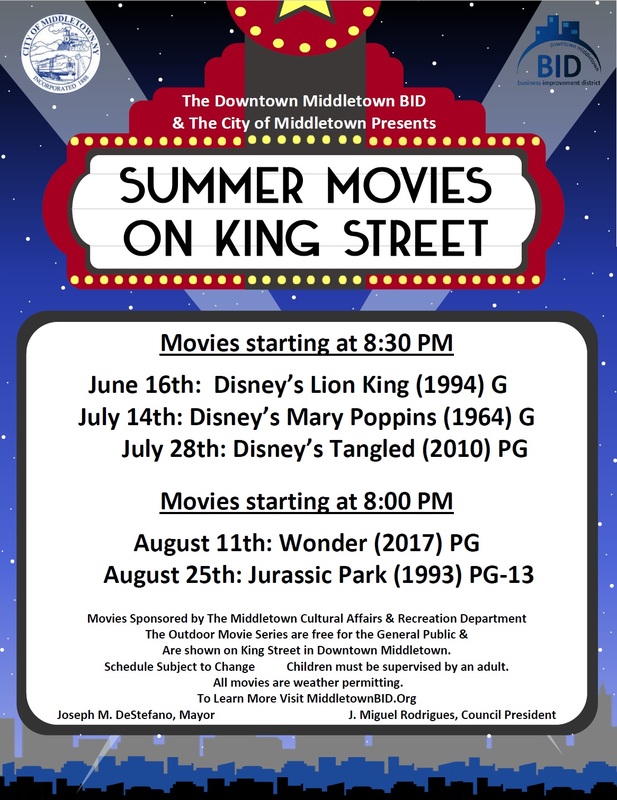 In 2016, The City of Middletown became a first round winner of the Downtown Revitalization Initiative through the State of New York, a $10 million grant competition created by Governor Cuomo to help revitalize downtowns throughout the state. The city will be using the $10 million to fund six major projects, and the redevelopment of the Woolworth’s building into the Rail Trail Commons is the second project to commence. Façade Improvements, Streetscape Improvements and the redesign of several parking lots were some of the other funded projects. Applications for the Race 4 Space are currently available for pick up at the Office of Economic and Community Development in City Hall, 16 James Street, 3rd floor, Middletown, New York. The due date for applications is August 6. 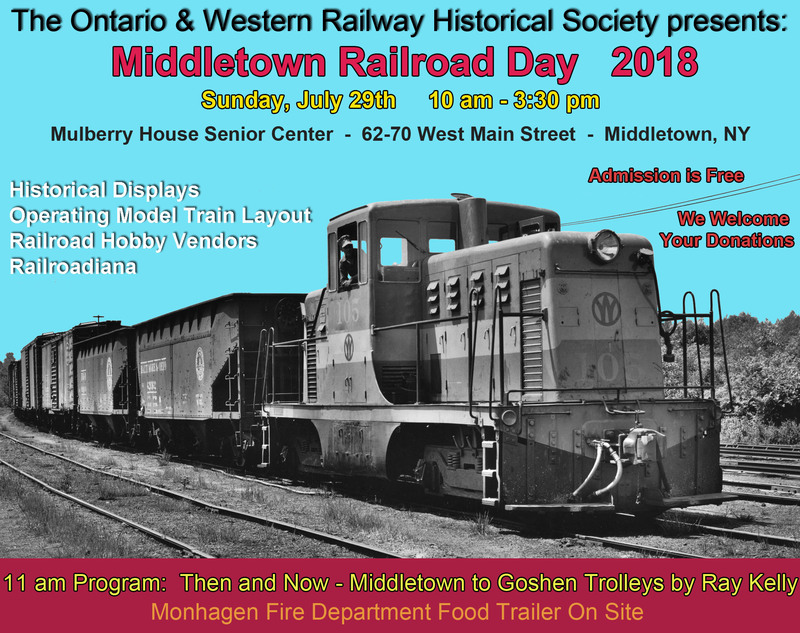 Applications and guidelines can also be downloaded at the following websites: middletown-ny.com/en/departments/economic-development or middletownbid.org. The Race 4 Space is on!